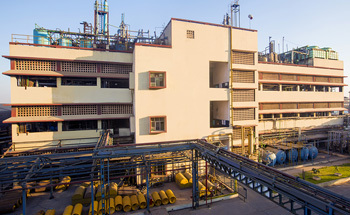 The state-of-art production facility is located in Ankleshwar (Gujarat) on 75,000 m2 of land and consists of 4 main plants. 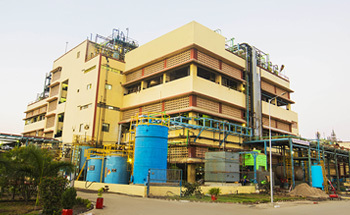 We have expertise in large scale production of Active Ingredients (Agro), Electronic Chemicals, Specialty Chemicals and Intermediates having application in Agrochemicals, Pharmaceuticals and Dyestuff. We follow the highest standards of cross contamination prevention policies in our plants. They are fully integrated having a wide range of reactors, distillation columns and closed filtration & drying systems. Rectification and fractional distillation columns height ranging from 6mt to 25 mt. 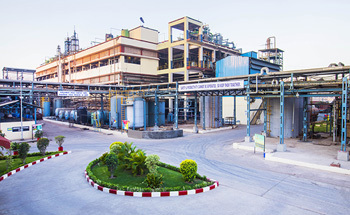 Manufacturing Agro and Pharmaceutical intermediates. Reactions Undertaken: Metal Catalytic Hydrogenation, Cyclization, Oxidative Chlorination, Sulfonamide reaction, Condensation, and Bromination. Manufacturing Chlorinated Pyrimidine Derivatives for Agrochemicals and Dyes & Pigments. Reactions Undertaken: Vilsmeier Reaction, Oxidation, Pinner Reaction and Friedel Craft’s Reaction. 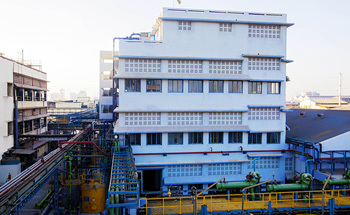 Also used for generating high purity dry HCl gas using a special technology where no waste is generated. Manufacturing Active Ingredients, Electronic Chemicals, Agrochemical Intermediates. Fully automated using Delta V Automation system. Reactions Undertaken: Friedel Craft, High pressure & Temperature Coupling, Selective Chlorination, Amination, Benzylation and Steven’s Rearrangement. Manufacturing Technical Grade Active Ingredients for a leading multinational company. Adheres to highest safety standards. Fully automated using a Yokogawa system.